Hora Budapest Blog: Bust Through the Weight Loss Plateau! 2. Go high-protein, low carbs. Unless you are eating enough protein to maintain your lean muscle mass, you are likely to have lost weight already from both your fat stores and muscle. Women need to eat approximately 100grams of protein a day and men 150 grams in order to preserve their muscle tissue during a weight loss program. If you have lost some muscle during your weight loss program so far you will need to focus on protein so your body can build muscle, which requires more calories to sustain, which will in turn, kick start your weight loss again. Needless to say, any weight loss program you choose should be one that preserves your body's muscle and this does not happen! A wonderful way to boost your metabolism and break through to the next level of weight loss is by incorporating aerobic exercise into your program, such as 30 minutes of walking three to four times a week. (If you are 35 years or older, or haven't exercised regularly, begin with 10 to 15 minutes two to three times a week.) In addition, weight training with free weights or machines several times a week can help increase muscle mass, which in turn allows you to burn more calories faster. Studies show that weight training can increase your metabolism overnight by five to 10 percent. Working out can increase your metabolism for up to 21 hours after an intense workout. If your weight loss progress seems slow, look out for carbohydrates that might be sneaking their way unnoticed into your diet. Sugar can lurk in the most unexpected places such as ketchup, salad dressings, teriyaki and barbecue sauces. Watch out too for cornstarch, sugar or milk solids in many processed foods such as gravies, or sauces on frozen vegetables. Be especially careful about "low-fat" foods where flavor is enhanced by sugar and other carbohydrates. Try keeping a diet journal for a couple of days of EVERYTHING you eat and drink. You may quickly discover the hidden carbs that are keeping your weight-loss progress stuck and be able to eliminate them and move past your plateau. 5. Take the "refinement" out of your diet. Try eliminating all refined sugar and refined grains from your diet. This includes white bread, pastries, pasta, white rice, white flour crackers, sugar-coated breakfast cereals, cookies and cake. This simple step can encourage a huge weight-loss breakthrough and leave you feeling more healthy and energized in the process. Cutting back on how often you eat can have a negative impact on your diet plateau. Many studies show that small, frequent meals are more satisfying and produce better weight-loss results than the same number of calories consumed in three large meals. Take advantage of healthy snacking and crunch on fresh slices of raw vegetables like celery, peppers, cucumber and jicama when you're hungry. 7. Drink to burn up. It's vitally important to replenish your fluids by drinking plenty of water on your weight loss program. An inadequate supply of water in itself can slow down your weight-loss. Carry water with you wherever you go throughout the day. For additional weight-management benefits, add a high quality aloe concentrate to your water to help keep your digestion in top shape. Also, a probiotic supplement can help us maintain a healthy intestinal flora. Keeping well hydrated not only helps you burn fat efficiently, it also helps control hunger. 8. Keep your incentive strong. Remember the determination you felt when you first began your weight-loss program? Remember the excitement of watching the pounds drop one by one? Go back to whatever your initial motivation was and see whether it still works for you. It may have been the desire to lose weight for a particular event or to regain your figure after pregnancy. You may have been motivated by poor health or by the shock of just how much weight you had gained. See whether the same motivation still has juice for you. If not, choose a new one. Keep a picture of yourself looking great (or bad!) on your refrigerator as a daily reminder of where you are heading. 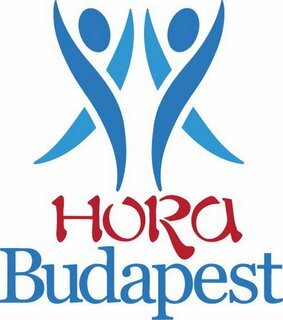 Írta: Hora Budapest Idő: 3/05/2015 11:25:00 de.